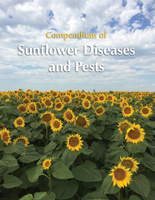 The most comprehensive book in the Compendium of Plant Disease Series! Includes more than 250 images and more than 200 pages! The most practical and comprehensive soybean pest management reference to date! Soybean is one of the most significant crops grown in the world today. Soybeans are also hosts to a long list of diseases and insect pests, and that list grows each year. New and practical references that help users identify and manage this growing range of threats are vital to ensuring a healthy, high-yielding, profitable soybean harvest. 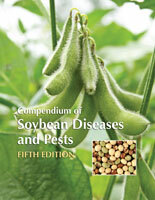 Enter the Compendium of Soybean Diseases and Pests, Fifth Edition. This unique and practical reference is tailored to the needs of soybean growers, consultants, extension agents, and plant pathologists working in the field, in diagnostic laboratories, in plant clinics, and in academic institutions. The fifth edition is packed with new information on pests and their management since the fourth edition was launched more than a decade ago. This book is also more international in scope and comprehensive than its four previous editions, which sold more than 30,000 copies worldwide. In total, more than 90 diseases and their management are covered, along with the many major insect pests and abiotic disorders of soybean. 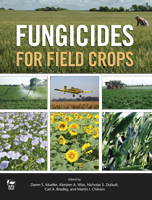 Each section of this new compendium has been written or revised by top soybean authorities who are experts on the particular pests and disorders featured in the book. New sections in the fifth edition describe insect pests and their management, summarize the molecular detection of pathogens, and provide an international perspective on the importance of soybean disease management in the world’s leading soybean-producing countries. Part I addresses diseases and pests caused by biotic factors, including prokaryotes, fungi and oomycetes, nematodes, and viruses; and includes a section on seed and postharvest pathology. Part II, which is new to this edition, covers insect pests and provides strategies for their management. Part III discusses disorders caused by abiotic factors, ranging from weather-related stress disorders to those caused by mineral deficiencies and toxicities and injuries from various chemicals and pollutants. 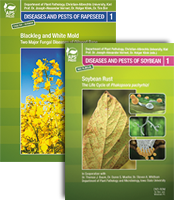 Part IV provides strategies for the management of soybean diseases and pests. The discussion focuses on biological enhancements, cultural practices, host plant resistance, and pesticide use. 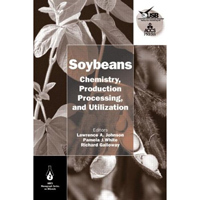 This new edition also includes an introduction that provides background information about the history and growth of the soybean plant along with a contemporary discussion of the importance of soybean pathogens and pests in the world’s chief soybean-producing countries. Several appendices identify pathogens of soybeans, insects associated with soybean, and hosts of soybean pathogens. A comprehensive glossary and index are provided, as well. Whether you are a scientist who needs an authoritative reference on diseases or a practitioner who needs or provides management recommendations, this book is a must-have.